Accept Only the Best in Outdoor Grills and Accessories. Food preparation is key! Not one outdoor burner, but two outdoor burners, come with the Double Side Burner by Bull Grills. Build it into your outdoor kitchen or island to transform your outdoor cooking experience. A grill outdoors is nice, obviously, but isn't the idea to become a fully efficient outdoor chef of all trades? Add a burner into your repetoire and you'll be up and running. 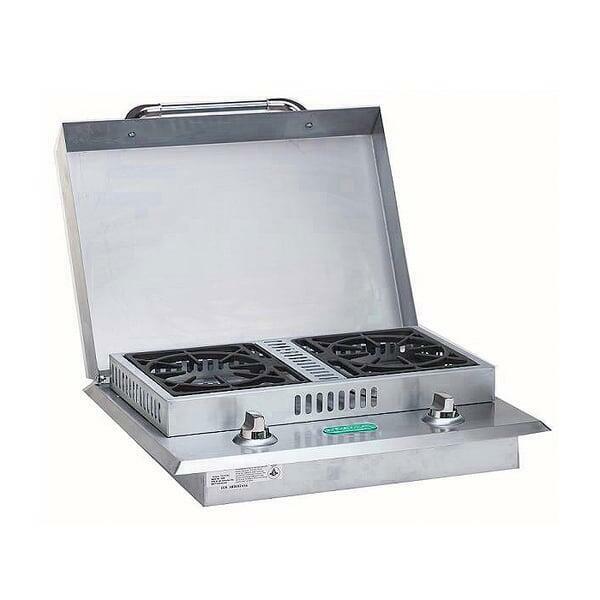 This dual burner for the outdoors runs on natural gas or propane. Get fired up!